Continuation Bet Like A Boss - Advanced C-bet Strategies to Win More! Continuation Bet Like A Boss – Advanced C-bet Strategies! 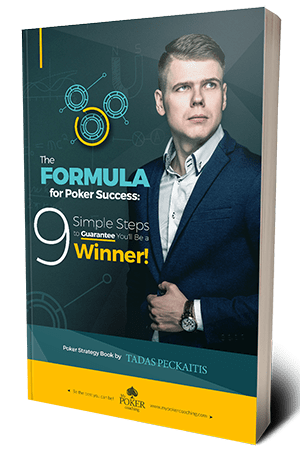 The correct continuation betting strategy is probably one of the first things you need to master in your postflop game when you know the best preflop strategies for any of the formats, be it cash games, Spin and Goes or MTT’s. Players make many mistakes by c-betting too much or choosing wrong hands for that. It is a very costly mistake and one that you should try to avoid. The good news is that it is quite easy to learn effective strategies, which enables you to win more money by choosing the right hands to make a continuation bet. Therefore, I will go over the most important betting and barreling concepts, which will help you to choose the right poker hands and spots to c-bet. Like I covered in my detailed article GTO poker vs. exploitative play, you need to understand when to apply these different concepts to get the best results, and if you have not read the article yet, I highly recommend doing it. Nevertheless, you have to distinguish are you up against a recreational player or a regular and change your strategy accordingly. You need to understand that you just cannot be c-betting same ranges vs. different player and be sticking just to one strategy. Therefore, you can and should quickly figure out the type of your opponent using the right poker stats or even with the help of some poker tells. So when you know your competition, you can build the best approach to beat it. Against regulars and all tough player in general, you will be much better sticking with GTO strategies and trying to balance your ranges. You can learn all of this and much more in my detailed c-betting and barreling guide. Otherwise, you could end up having some problems against good players. However, versus weaker players, exploitative strategies work much better, and it is true for continuation bet as well. Therefore, when you are up against weaker players, you should try to identify their mistakes and act accordingly. If they are folding too much, you should be barreling with almost all of your bluff and checking some medium strength hands to let them bluff. Contrary, if they tend to float very wide and call nearly all of their range, you should be checking those weak hands and c-betting all medium and strong hand to get extra value. Most of the time you should be making that c-bet more often versus a recreational player and not try to balance your ranges at all. It is not enough just to know that you should be betting more hands, it is critical to understand which hands you should be choosing to make that continuation bets more often and most importantly what you are trying to achieve by doing that. Thus, our next point will be exactly about that. Without understanding and answering this question, you will be randomly firing bets and most likely, not achieving results that you want. I have seen this hundred of times from my students. Players just tend to automatically c-bet knowing that it can be profitable and not even think about alternative lines, which could make much more money in the long run. Times, when you could be opening almost any two cards and then firing continuation bet on every single board, is gone and will never come back. Now you have to build better strategies, understand how to balance your value to bluff ratio and which hands to check. Otherwise, you will not get the results that you want. Are you betting for protection, value betting or bluffing? If you value betting, can your opponent call you with weaker holdings or maybe it is better to check and let him bluff? If you bluff, you want to make sure that he can fold better hands than yours. Otherwise, you are just wasting your hand and probably should check. How many streets are you planning to barrel? In most cases, the answer to this question will help you determine the best course of the whole hand. Answering these simple questions can give you insights, to understand is it worth making a continuation bet, or checking is better. The same thought process goes for checking as well. You need to understand the reason behind the play and what you are trying to achieve with it. Apart from the times when you are just giving up with the hand due to the bad board or unfavorable situation, you should know why checking is better than a c bet, and only then make the play. The board completely missed big blind’s range, and if you choose to c-bet, he will likely fold the majority of the time. Not something you want to see after flopping such a huge hand so you should check this hand to trap and continuation bet with many weak holdings. Moreover, holding pocket jacks, you block his possibilities to have a Jack himself because there is only one left in the whole deck thus your opponent is quite unlikely to have it. Even when he does, you will likely get some money in no matter what runout comes, so you are winning much more by checking compared to continuation betting here. Most importantly, when you check, you let your opponent improve his hand. Even if he has a trash hand such as 76o, which he would snap fold to a bet if he hits that 7 or 6 on the turn you are surely getting some money from him. Therefore, giving your opponent a chance to catch up where he has close to zero chances to outdraw you is always a good idea. Furthermore, even if your opponent misses on the turn, he will have the opportunity to bluff and will choose that option a lot of the time. Thus, it adds you some additional value from not c-betting. I just want to mention that there are no scary cards for you, so checking is very safe and as you see you are not reaching much by making a continuation bet in this spot. Another significant benefit from checking these strong hands is that you can check some total air hands and bluff it later on because you will have some value hands to go along with it. Thus as you can see, all of the arguments are for checking and none for c-betting in this spot. This is just one example, how you can break down different boards and run outs to make optimal decisions quickly. Therefore, remember that every single scenario could be analyzed in a similar way and understanding what you can reach with a continuation bet or by checking will help you to improve a lot. 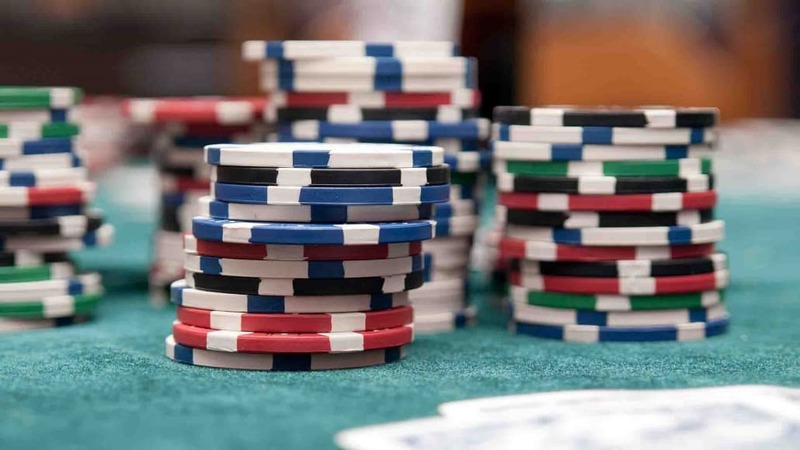 Your c-bet strategies will vary on different board textures, and it should be the most important factor, which you take into considering while making the decision. Well, not as much the board itself, as for how good is the board in relation to your and your opponent’s range. To figure this out, you can play with Poker Equilab or any other similar poker tool and enter your and your opponent’s range and the board to see who is a favorite in a particular spot. In most cases, you will be c-betting more on dry boards because it will likely miss callers range. Contrary, you will be making fewer continuation bets on very connected boards, because your opponent is much more likely to have a piece of that and call or even check-raise as a bluff. You should spend some time analyzing different boards to build a good understanding which spots favors your range and when you should c-betting and barreling as a bluff more often. Get tracking software to see how your opponents play and make your decisions easier. You need to understand the difference between IP and OOP play. Your c-bet ranges need to change based on that, and you need to play it a bit differently, to take max EV lines. If you have a position on your opponent, it is much easier to realize your equity with the hand, and you are guaranteed to see the turn if you check back. While OOP, if you check you could be facing a bet on the flop, turn and river from your opponent and have one more street to bluff catch, which makes your life much harder. Therefore, you need to check stronger hands OOP instead of making a continuation bet with all of them. Otherwise, it will be tough to defend against aggressive opponents, and people tend to bluff a lot versus missed c-bet. Thus, when you are out of position, your c-bet range should be much smaller, and as we said before, you should check many reasonable strong hands to protect your holdings and have a chance to bluff catch. Otherwise, you will put yourself in the spot where you check just average strength and weak hands. In this case, you will be able to call one or two bets but will have to fold on the river in most cases making you very vulnerable against any thinking opponent. It is a vital part and checking stronger hands is not enough, you need to understand how to deal facing aggression, which hands to check raise and when it is better to bluff catch by just calling. This requires tremendous work and time on your part but is totally worth it because you can become almost unstoppable if you master this area and play in the right way based on your competition. One of the hardest things to master in poker, yet a critical one. It is close to impossible to analyze all of the different scenarios and possibilities in a single article. Therefore, I prepared a course about building optimal bet sizing strategies and winning most by incorporating it into your game. However, it is essential to understand at least the most crucial points not to make huge mistakes when continuation betting. Let us divide all the boards into two parts to make it as simple as possible – dry and connected ones. When you choose to c-bet on a dry board, you should never bet more than half of the pot and could go with even smaller sizing in most cases. The reason is simple; you will achieve the same results with a small sizing thus there is no point to bet big. However, on connected boards, everything is contrary and you do not want to bet small and give your opponent correct odds to call with his draws to outdraw you. Therefore, you should be betting at least two-thirds of the pot when you choose to c-bet and putting your opponent to the test. Distinguishing bet sizing based on board texture is crucial and if you do not know how to implement advanced techniques live over betting or under betting to manipulate your opponent range, stick to above-mentioned continuation bet strategies, and you will be up for the good start. As you see, there is a ton of information, which you need to take into consideration before making that c-bet. Therefore, I developed a very convenient and easy strategy, which helped hundreds of students to make good and educated decisions and led them to success. I am talking about hand grouping. This enables to put hands into different groups and quickly know either you should be c-betting or checking with it and what you will achieve. You can build your own system or learn mine and take your game to the next level. All of this along with advanced strategies for different boards, tips on how to adjust to different players and much more is available on my course. Imagine yourself in the spot where you always know when to c-bet and when to check on the flop or when to barrel on later streets as well. How would it feel to make good and educated decisions all the time and start winning more? I think it would feel great and I can offer this on my Complete C-betting and Barreling Course, check this out and start crushing your opponents!